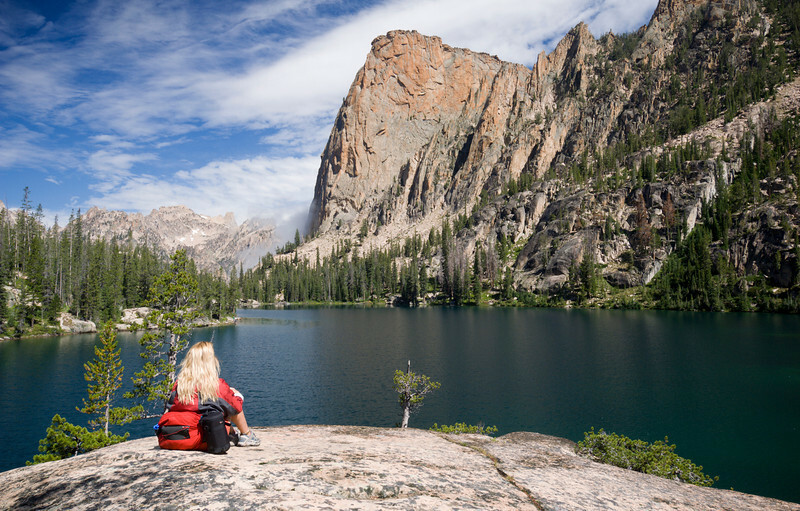 My lovely wife sits in the solitude of the Sawtooth Mountains. The previous night, and much of the morning, were spent hiding away from pelting hail and wind-driven rain. Only in the first few hours of morning did the clouds break, the mist rise, and the monolith of the Elephants Perch once again tower over Saddleback Lake.